Register NOW for Packing for Impact with Project C.U.R.E. Packing for Impact with Project C.U.R.E. is Saturday, December 1, 2018 at Rocky Mountain Hospital for Children. Project C.U.R.E.’s Packing for Impact is back! 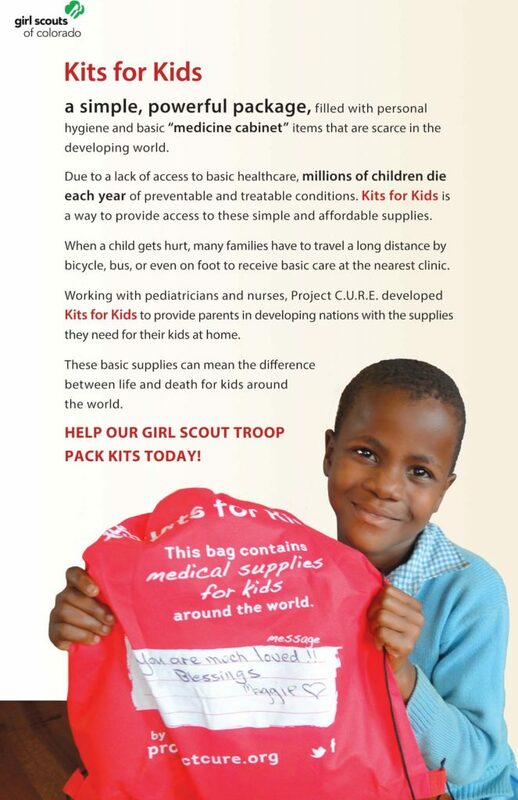 Packing for Impact is an opportunity for Girl Scouts from all over Colorado to come together to change the lives of families around the world by filling Kits for Kids, engaging in fun activities, and learning about the children around the world that they will be helping. 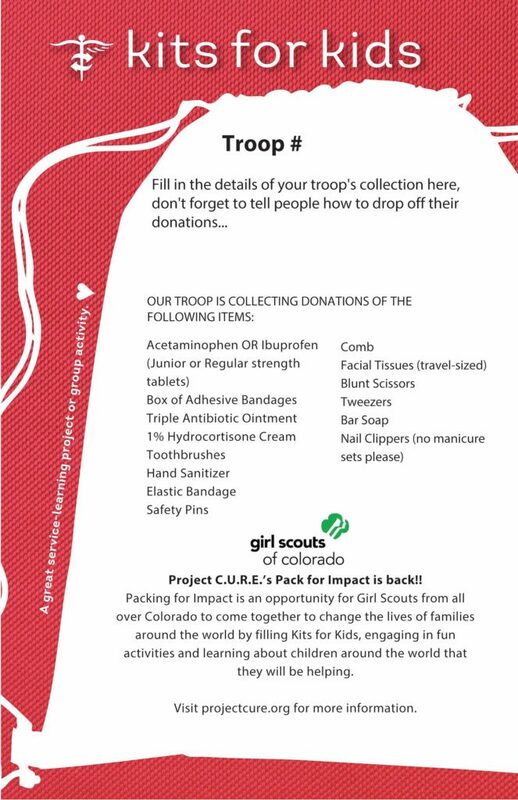 Troops can use this customizable flyer to help collect supplies for their kits before the event. First shift: 9 – 11 a.m.
Second shift: 12 – 2 p.m.
Third shift: 2:15 – 4:15 p.m. This year, we are also looking for five Girl Scout Senior or Ambassador troops or groups to lead activity stations. Girls are welcome to design their own activities or lead activities designed by Girl Scouts of Colorado. This is a wonderful opportunity for community service, Program Aide internships, and/or to earn the Service to Girl Scouting Bar. If interested in volunteering at this event, please email aimee.artzer@gscolorado.org.